The chief proponent of a toxic waste dump in South Texas has abandoned a challenge to local permitting authority, but he said the fight is far from over. 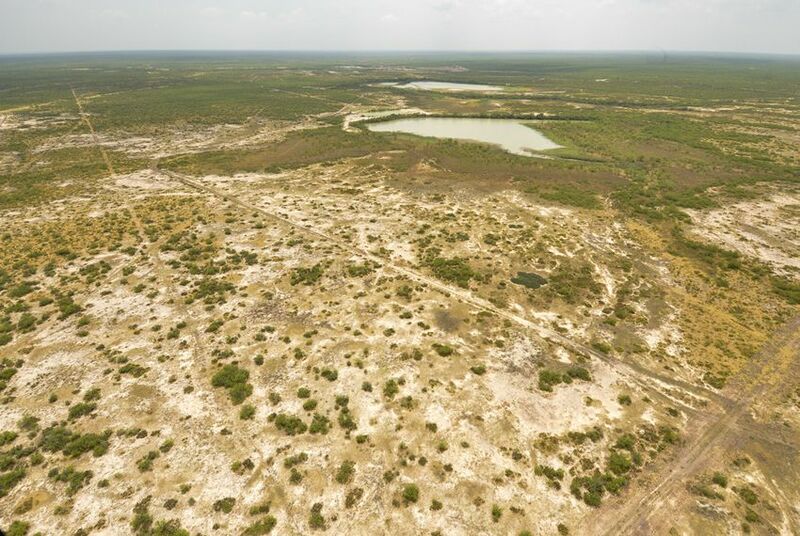 The chief proponent of a controversial toxic waste dump in South Texas is promising to continue the fight for the project after abandoning a challenge to local permitting authority. The proposed landfill outside of Laredo has already sparked charges of environmental racism, drawn criticism from a Mexican governor and positioned two former top aides to Gov. Rick Perry — now hired as lobbyists — against each other. Rancho Viejo Waste Management, the company behind the landfill plan, filed a lawsuit last year against a Webb County official after she blocked development because of flooding concerns. The company had claimed Rhonda Tiffin, Webb County's planning director and floodplain administrator, overstepped her legal bounds in prohibiting the landfill’s construction. But the firm but dropped the suit Friday evening, ahead of Tuesday’s hearing. Rancho Viejo owner Carlos “C.Y.” Benavides III promised to build the landfill no matter what. The people opposing the landfill include Ray Sullivan, Perry’s former chief of staff and top presidential campaign spokesman. Sullivan said the landfill’s estimated intake of waste — up to 10,000 tons a day — from other states and even northern Mexico troubled him greatly. “I philosophically have a problem with foreign governments dumping toxic waste in Texas,” Sullivan said. The landfill would take Class 1 industrial waste, which the state classifies as toxic but non-hazardous. Because the proposed site is just a few miles away from hundreds of colonia residents and 20 miles away from Laredo, local residents worry about spillover into their communities. Their concern is heightened because the landfill would sit in the middle of a floodplain. Former Secretary of State Geoff Connor, a longtime fixture in Perry’s political circle, is working with Benavides to help the landfill development proceed. In a letter to a TCEQ engineer late last year, Connor criticized opponents of the landfill by highlighting what he called "improper manipulations" in the permitting process. Connor has had ties to Benavides since March 2010. Benavides told The Texas Tribune he hired Connor to lobby for him in Austin because of his experience with environmental projects and because of their already established relationship. Benavides is in the middle of a fight over the proposed development of a 660-acre landfill on his family’s property. His main goal is to get a permit from the Texas Commission on Environmental Quality allowing him to build the landfill, while the county refuses to grant him a local one. Connor assured TCEQ in his letter that Benavides’ company had taken the necessary steps to be approved by the Federal Emergency Management Agency. He also said that the only difference since initially applying for the permit is local politics, claiming that the county official being sued was influenced by a county commissioner, but that the dispute would be resolved in the Webb County District Court. "TCEQ is not required to attempt to resolve local political infighting," Connor wrote. "TCEQ has a duty to proceed when all conditions have been met and to not allow protesting parties, through local politics, to thwart the regulatory process." While the dispute has been set aside indefinitely with the dropped lawsuit, Connor’s allusion to local politics dealt with Rancho Viejo’s claim that Tiffin was being improperly influenced by a county commissioner married to Benavides’ cousin Anna Galo. Tiffin is in charge of granting building permits in areas at risk of flooding, while Galo owns property next to the proposed landfill site. Tiffin declined to comment on the lawsuit for this article. Her lawyers did not respond at the time of publication. Tiffin wrote to FEMA last August formally revoking her consent of the landfill’s development, citing Rancho Viejo’s materially changed plans since 2011 and inaccurate representation of flooding in the dump site. Tiffin also said in August that Rancho Viejo never applied for a local permit from the county, which building code requires. She also told the Laredo Morning Times that FEMA's conditional letter of map revision issued in November 2014 was based on 2011 data and plans. That conditional letter indicates whether a project built in a potential flooding area will be recognized by FEMA, but does not change the floodplain map. Tiffin argued Rancho Viejo must reapply with FEMA for a new conditional letter and with TCEQ for a new permit before the county could approve the landfill's development. Benavides said Tiffin had no authority to deny Rancho Viejo’s permit. Benavides said Rancho Viejo filed for a local permit to build the landfill last October, around the same time the company sued Tiffin, to prevent jeopardizing their permit application with TCEQ. “We did everything we needed to do by the rules, the rules they set up,” Benavides said. “The county keeps on moving the goalposts, or the finish line, to their convenience." Benavides said he would continue to pursue a permit from the county allowing him to build the landfill, though the application process has changed time and time again. He declined to provide documentation of Rancho Viejo’s multiple applications for a floodplain development permit from Webb County. Rancho Viejo's engineering company, CB&I, submitted a permit application with Webb County on Jan. 24, three days before Rancho Viejo dropped its lawsuit against Tiffin. Webb County has been a participant in the National Flood Insurance Program since 1998, which mandates that communities require permits for all proposed construction in flood hazard zones. Opponents of the landfill see it as a dangerous international waste facility. Last August at a TCEQ public meeting, a person who identified himself as a representative of the governor of Tamaulipas voiced his concern about the environmental consequences of a landfill accepting toxic waste so close to the Rio Grande. One of the landfill’s most active opponents is ANB Cattle Company, the company for whom Sullivan lobbies. ANB has been embroiled in a property rights battle with Rancho Viejo over a section of the landfill site where Benavides and ANB’s owner and vice president have shared mineral interests since 2012. ANB wants to ensure that Rancho Viejo Waste Management follows the proper procedures in developing a landfill, Sullivan said. Benavides dismissed ANB’s move to block the landfill development as inconsequential. Benavides is the cousin of both ANB vice president Anna Galo and ANB owner Arturo Benavides, but Sullivan says the issue at hand extends beyond a familial dispute. Laredo residents are protesting a proposed landfill that they say will make their community a dumping ground for toxic waste from across the United States and Mexico. A controversial radioactive waste dump in far West Texas is one step closer to being able to accept high-level nuclear waste.